This summer we saw some new publications underscoring the need for a high-quality assembler for single-cell genomic sequencing projects — particularly in clinical settings. “Candidate phylum TM6 genome recovered from a hospital sink biofilm provides genomic insights into this uncultivated phylum” came out in PNAS in June, and “Genome of the pathogen Porphyromonas gingivalis recovered from a biofilm in a hospital sink using a high-throughput single-cell genomics platform” was published in Genome Research in May. Both papers come from the J. Craig Venter Institute and highlight the critical need for single-cell genomics to characterize organisms that cannot be cultured with traditional methods. One of the key limitations to performing single-cell genomics has been that most assemblers are not optimized to handle this type of data. Lack of uniformity in read coverage and increased numbers of chimeric reads and sequencing errors are common problems in single-cell work. 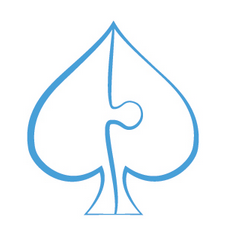 SPAdes, developed by researchers at the St. Petersburg Academic University Algorithmic Biology Laboratory in collaboration with Pavel Pevzner at the University of California, San Diego, fills this niche. The assembly tool, which was recognized as a top performing assembler in the GAGE-B Evaluation, generates single-cell assemblies, providing far more information about microbial genomes from metagenomic studies than traditional assemblers. SPAdes can be used with standard isolates as well as single-cell bacteria assemblies. SPAdes has been ported to DNAnexus and is available as an app to any user of the new platform. Input for the app is a set of reads in FASTQ format. In SPAdes 2.5, the user can specify multiple libraries, which all will be used for repeat resolution and gap closing. SPAdes does not yet have a scaffolder, so in the case of mate pair sequence data, using an external scaffolder is recommended. You can check out the app by logging in to DNAnexus and searching the app library for SPAdes.